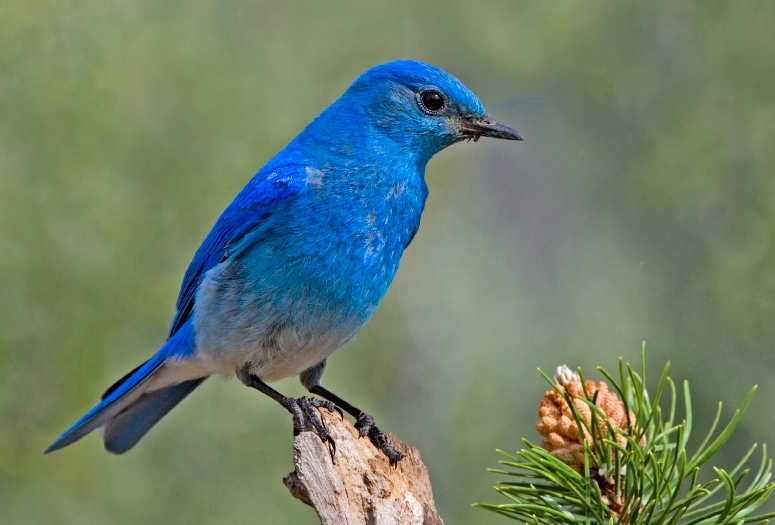 The Mountain Bluebird is a migratory bird. Males have a blue back, wings and chest with a light underbelly. Females have dull blue wings with a grey chest, crown, throat and back. It is 15-20 cm (6-8 in) in length and weighs about an ounce. 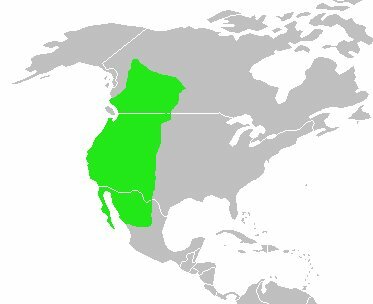 They migrate south to Mexico in the winter and as far north a Alaska in the summer. These birds hover over the ground and fly down to catch insects, also flying from a perch to catch them. They mainly eat insects and berries. They may forage in flocks in winter, when they mainly eat grasshoppers.